There is a lot of stuff I should be saying, but I am still sick so lets skip on to the important info shall we? 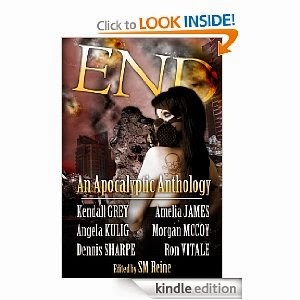 END is out today! It's a collection of short stories by really talented authors, and me. We get no money from this, it's all going to St. Jude where children are never turned away for their inability to pay. SO I don't feel bad at all begging you to buy it, give it as a gift for Christmas AND asking tell everyone you know. It's available on Amazon, BN.com, and Smashwords! I miss blogging! I expect to be well and caught up but not before Christmas. I will see you collected and in control by the new year though!